Rapid and constant increase in technology means that communicating with people located in other parts of the country or even other areas of the world is now easier than ever. The combination of globalized communication and the forever-growing IT industry means that more and more companies are adopting the distributed-team model in one way or another – whether by hiring individual employees located in various parts of the world or cooperating with a software-development team in another country on a project basis. Lower costs: Companies that collaborate with distributed development teams can not only save on labor costs, but also save money on other areas, such as property- and HR-related costs. Access to a larger talent pool: This is especially valuable if your project requires a set of specific skills not readily available in your own country. A longer work day: Time zones can often cause issues with distributed teams, but not if they are managed properly. If you work with a team on the other side of the world, you can use the time zones to create a 24-hour (or something close to that) work day. When it comes to actually working with a distributed development team, managers and clients often worry about the managerial side of the distributed-team setup. Their main fear is being unable to regularly track the progress of their project and communicate ideas when they need to. However, there exists one extremely popular software-development method that eliminates many of the negative elements associated with distributed teams and allows all involved to work in a highly collaborative and productive way – and that method is known as Agile. The agile methodologies have been around for quite some time and are fast becoming the main method of choice for both small and large software projects. While the agile methodologies boast higher project success rates than traditional methods, there are a number of very important factors inherent in the agile methodologies that make them equally successful when working with distributed development teams. Increases productivity: As agile works on a progressive development process, developers can focus their attention on building the most necessary parts of the software and can change direction when required. Provides transparency: The nature of the agile methodologies encourages the client to be more involved in the project and provides them with greater insights into its progress and overall direction. Improves communication: Communication is quite often one of the main challenges companies face when working with distributed teams. However, there are a number of agile tools available that allow both teams to communicate their message efficiently. The agile methodologies are packed with highly useful and time-saving tools and techniques that all make the software development process and distributed-team environment very successful. Agile’s extensive toolkit: There are a number of tools available to help developers manage and track tasks, collaborate with co-workers, and monitor the project’s progression. Kanban boards, for example, allow developers to pick tasks from a list of priorities, which allows them to start work on new tasks without having to wait or consult with their manager first. 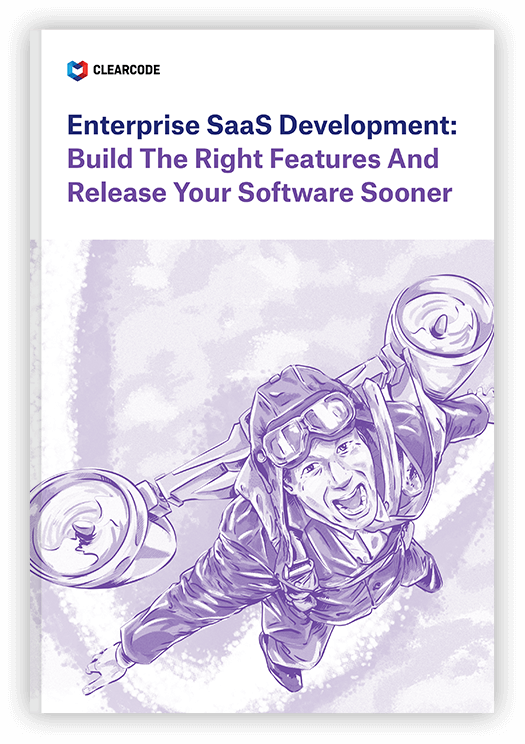 Two-to-four week sprints: By developing software in two-to-four week sprints (increments), developers can produce working features sooner, identify potential risks, and change the project’s direction. Daily scrum meetings (stand ups): With the help of virtual communication tools, daily scrum meetings allow the whole team to get together to synchronize their work and prepare for the day ahead. There is no doubt that as time goes by and as technology advances, more and more companies will take advantage of the many benefits that a globalized workforce can offer, and with the highly fruitful agile methodologies, success can only continue. Here at Clearcode, we work with distributed teams on a daily basis. We’ve found that the agile methodologies make the whole software development process smoother, more transparent and more productive. To find out how our team can help you with your project, please contact us by clicking here.